WASHINGTON, Aug. 23, 2016 — Howard and Sally Peters, a Menlo Park, California, couple known as “Mr. and Mrs. Chocolate” because of their use of the delectable sweet to explain the wonders of chemistry to non-scientists, are recipients of the 2016 Helen M. Free Award for outstanding public outreach from the American Chemical Society (ACS). They will be honored at a ceremony on Aug. 23 during the 252nd ACS National Meeting & Exposition in Philadelphia. For nearly 20 years, the Peters have toured the United States sharing their signature presentation, “Chocolate — Food of the Gods,” which explores the history and chemistry of one of America’s favorite treats. They also have been scientist-author lecturers on Cunard’s Queen Mary 2 and on Princess Cruises ships. Other venues have included churches, science clubs, children’s museums and schools. Through these activities, they say they have reached out to virtually every demographic, including underrepresented groups in science. The chocolate presentation was inspired, in part, by Howard Peters’ childhood — he grew up about 100 miles from the Hershey chocolate factory in Pennsylvania and can still recall sweet scents wafting through the air. Howard Peters, Ph.D., earned his bachelor’s degree in chemistry at Geneva College in Beaver Falls, Pennsylvania, and his doctorate at Stanford University. He received his law degree from Santa Clara University in California. As a chemist, he led research projects on volatile anesthetics, organic fluorine compounds, herbicides and high explosives. Following his career in the lab (becoming a co-inventor on seven U.S. patents), he was a patent attorney in Silicon Valley for more than 30 years. 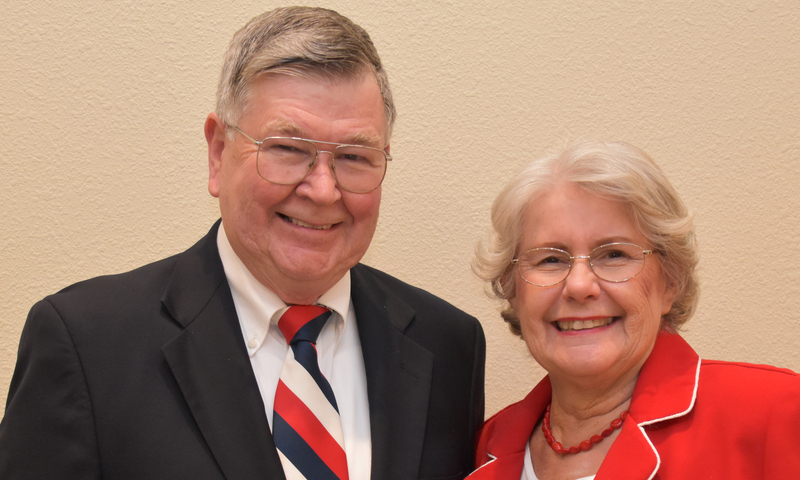 He has been an ACS member for more than 50 years and a member of the ACS Council for 30 years. He served on the Society’s Board of Directors from 2005 to 2007. Sally Peters also earned her bachelor’s degree in chemistry at Geneva College and received a master’s degree in library and information science from San Jose State University. She was an information specialist at Xerox PARC in Palo Alto, California, for more than 28 years. Earlier in her career, she conducted virus research at Stanford under the direction of Hubert Loring, Ph.D., the chemist who first crystallized the polio virus, which was later used by Jonas Salk to create the first effective vaccine for the disease. Sally has served as an ACS councilor for more than 20 years. In addition to their chocolate presentations, the couple has for years supported the ACS–UN International Chemistry Olympiad, the Intel International Science & Engineering Fair and KIDvention, a program that encourages teams of children from underprivileged backgrounds to try inventing devices using common household items. The Helen M. Free Award was established in 1995 to recognize outstanding achievements in public outreach. Free, a former ACS president, initiated many programs and activities designed to improve the public’s awareness of chemistry’s contributions to the quality of daily life.